When reviewing a David Fincher film, you’ve got to know what you’re getting into. You’ve got to understand that social etiquette, placement, and status will all be paraded in a subversive manner, and that the ending won’t necessarily include a solution but a finale all the same. Knowing this, and that characters will be featured in multiple shades of grey, and you can enjoy yourself. Ignore or misunderstand this, and you might be in for a 149-minute set up that leaves you dissatisfied. But that’s not gonna happen. Nick and Amy Elliot-Dunne have a perfect marriage…on the surface. Behind closed doors is an entirely different story. Marriage is hard work, as the couple was told, but when Amy goes missing, Nick finds her absence to be even more difficult. Doing everything he can to avoid suspicion that’s being cast on him as her murderer, the outcome may be even more devastating than the crime he’s being accused of. No denying the aura of pomp though. From beginning to end, Gone Girl is everything you need in a drama. While many films market themselves toward adults and “mature audiences,” they tend to pander to those looking for something to do and don’t feel like sitting through two hours of a CG characters beating each other up. 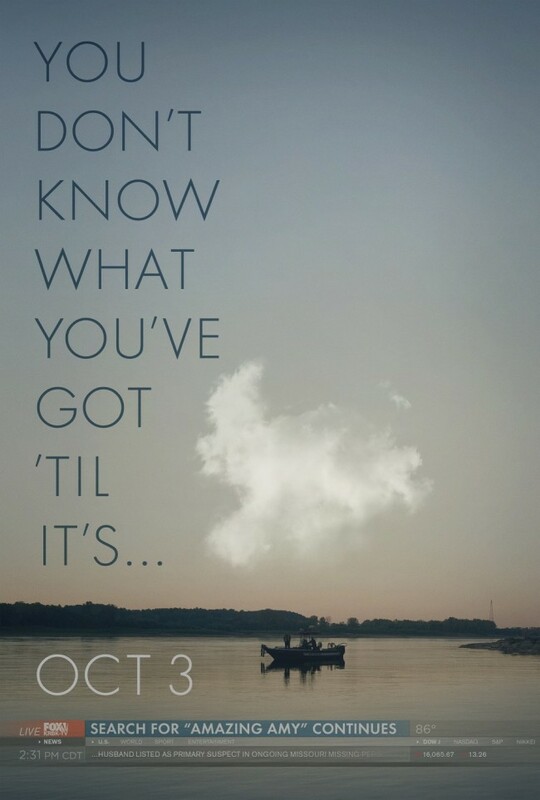 Notice the key word is “everything you need in a drama.” From the score by Trent Reznor and Atticus Ross (Also of 2010’s Social Network and 2011’s Dragon Tattoo) to the cinematography of Jeff Cronenweth, there’s nothing that doesn’t make you feel like something’s happening, even at its slowest. Generally, these reviews are written for whoever feels like reading it, so mentions of aspects such as cinematography are usually left out. But the appeal of Fincher’s films has much to do with the subtle stylization woven throughout without the audience even understanding why everything looks so intriguing but becoming entranced all the same. It’s not enough to have a great script, as with the wrong director, we all know that it can be butchered. With topics such as media exploitation, infidelity, and the importance of (or lack thereof) reputation, it would be interesting to hear what audiences take away from this one. It’s easy to imagine people having a similar reaction to it as they do real-life “Did the husband do it?” cases wherein opinions of viewers changes to whichever direction the media chooses to push it. Films that can’t help but raise questions or ideas in your own life or relating to us personally will always deserve a place in cinema, no matter what the box office will say. Would you murder your significant other for a bit of fame? I would! But it’s whatever. Positives: Great pacing, Pike’s acting nails it, never a dull moment, everyone played to their strengths- those onscreen and off. Negatives: Some may not approve of the “incomplete” ending, the run time of 149 mins may be a bit long for some. This entry was posted on 10/03/2014 at 2:30 am and is filed under Reviews! 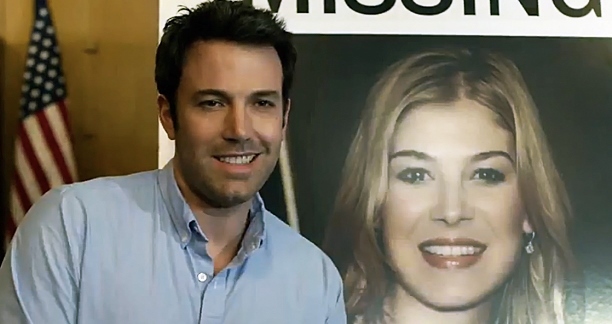 with tags adaption, David Fincher, Gone Girl, movie review. You can follow any responses to this entry through the RSS 2.0 feed. You can leave a response, or trackback from your own site. So even the two special agents Tyler Perry’s character had on the case off screen played their part? Awesome writing here taylor, great review! Thanks! That’s what I’m going for.